Miller County, AR – Some are calling it “Public Shaming,” but for the Miller County Tax Collector, she is calling it “Public Accountability.” What is that “Public Accountability”? It’s a list of over $200,000 of taxes owed to the county that is hitting social media today. Several media outlets have already published the list. Most of the responses from the public have been supportive so far; however, there have been a few that prefer to call it all “Public Shaming” and feel that it should not have been done. Perhaps some of those negative feelings come from the fact that this list contains only businesses in the county that have failed to pay taxes. Critics have already begun to hammer the Tax Collector on social media for releasing the list. However, for Cathy Hardin-Harrison, Miller County Tax Collector, the list is not only about accountability of these taxes owed, it’s also about treating everyone equal. Historically an annual list of delinquent taxes has been published each year in the local paper. The list is usually long since a lot of people simply forget to pay the taxes owed by the October cut off date. Most people in the county, upon being notified by a friend, neighbor, or relative, that their name has appeared on the list will go pay the taxes. Some will not. That list usually only contains the names of property owners or those with taxable property in the county of some sort such as automobiles, airplanes, boats, trailers, etc. The list is usually long, so often names of any business located on the list does not stand out to the public’s eye. Today’s list is different. It stands out clearly with over 230 business names, the year the business became delinquent, the amount owed by the business, and it’s going public on social media. A quick run through the names shows some of these businesses are no longer operating in Miller County. Some have closed and others have moved out of the area. 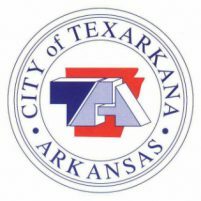 However, what those business owners are forgetting, is that if the business was operating in the county during the year in question, even if only for a few months, then it owes the taxes to Miller County. There is at least one major restaurant from the area that closed during the year in question, but even a closure does not exempt a business from the taxes due. As noted, the Tax Collector’s Office is already taking some heat on social media for releasing the list. What must be remembered though is that everyone pays taxes. You pay taxes for your home, land, cars, other property, and yes for your business. Often taxes paid at a county level on a business are then given a tax credit at a federal and state level when it comes time to pay those taxes. Cathy Hardin-Harrison is holding business to the same accountability as a home owner. If you pay taxes in this county on your home, cars, boats, etc., then you should completely support the concept of everyone paying their taxes. “Public Shaming” or “Public Accountability”, the bottom line is if a business does not want its name on the delinquent tax list, then pay the taxes owed. The business operated in the county, and therefore the business owes taxes in the county of operation. These funds support our schools, county roads, Sheriff’s office, courthouse, and much more that goes into the operation of a successful county. The people of Miller County Arkansas deserve to see the businesses that elect not to pay taxes. Many of those businesses will still accept money from the people living in the county or visiting the county. Cathy Hardin-Harrison is doing the right thing in pursing the money that belongs to all residents of Miller County. She should be highly commended for the work she has done with her staff for all citizens of the county. Protects jobs at the Red River Army Depot in Texarkana WASHINGTON – Rep. John Ratcliffe (R-Texas) voted for the passage of the 2018 National Defense Authorization Act(NDAA), which boosts support for America’s military, enhances national defense capabilities and provides a 2.4 percent pay raise for U.S. service members. The bill authorizes the $696 billion in funding necessary to restore adequate readiness for our armed forces, protect our homeland from rapidly evolving threats and provide our troops with the resources they need. CableOne - Is it time to do away with bandwidth limits? Nancy Herron, Miller County Tax Assessor If you have ever needed to look a property record up for Miller County, Arkansas, then you may have used the online service known at “ActDataScout”. The service offers access to several counties and the opportunity to search property records, and see mapping for properties. What you may not know is that the service has expanded to cover assessments. Nancy Herron took over as the new Tax Assessor for Miller County in January. Nancy and her team wasted no time rolling out the online assessment coverage for Miller County. Now if you have an existing assessment with the county, you can go online and easily add new vehicles. Not only can you access the site from your computer at ActDataScout.com, but you can also find an app for those wishing to use their cell phones or tablets. Assessments are required for new vehicles, boats, motorcycles, RVs, etc. You have to have completed an assessment with the county assessor before you can register for tags. In the past this has meant a trip to the Assessor’s office or a call to talk with someone about your assessment needs. Now with the online service, you can complete your assessments without going to the courthouse. Nancy is encouraging everyone to spread the news and use the app or the online service as needed. However, if you are still more comfortable talking with someone on the phone or coming by the office, then please do so. Nancy and her crew will be glad to help you complete your assessment needs. ActDataScout.com is operated by DataScout, LLC. Cathy Hardin-Harrison Tuesday morning will bring in January first of a New Year and it will also mark a historic event in Miller County, Arkansas. There has been a lot of talk about the new County Judge, Cathy Hardin-Harrison. She will be the first female County Judge in Miller County, but there is much more going on for the county history. The county will have a first-ever female County Judge and it will see a Courthouse with all major positions held by women for the first time in history. The Tax Collector, Assessor, Treasurer, County Clerk, and Circuit Clerk will all have positions filled by women. On a county level, only the Sheriff and the Coroner offices will be held by men. As far as the day-to-day operations at the Miller County Courthouse go, women will be running each office held. 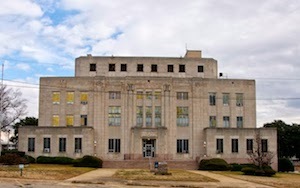 The swearing in ceremony will be held at the Miller County Courthouse, on the second floor at 10:00 a.m. Tuesday. While the Courthouse and offices are closed for the holiday, elected officials are expected to be sworn in during the first day of the new year. Some judges have chosen to be sworn in earlier so they can conduct the ceremony for the County Judge and other major officials for the county. It is currently unclear if the Sheriff will be sworn in at the Courthouse or not, but major courthouse held offices will start the process at 10:00 a.m. With the historic event, those wishing to attend should arrive early. An interesting side note to the fact that the county will have the first female county judge is the fact that all major offices in the county will be held by Republican representatives. Until January 1, the office of Assessor has been held by an appointed person since the retirement of Democrat Mary Stuart. As of January 1, Miller County will also be served by nine Republican Justices of the Peace (JP), one Democrat JP and one Independent JP. It is the first time so many Republicans have held major offices in the county since Reconstruction. For those unable to attend the ceremony Tuesday, you may also catch it live-streamed on the Facebook Page "The 'Whose Who' of Our Miller County".